How can I check out a few sample Hexawise plans? Discover detailed sample plans that demonstrate Hexawise concepts. 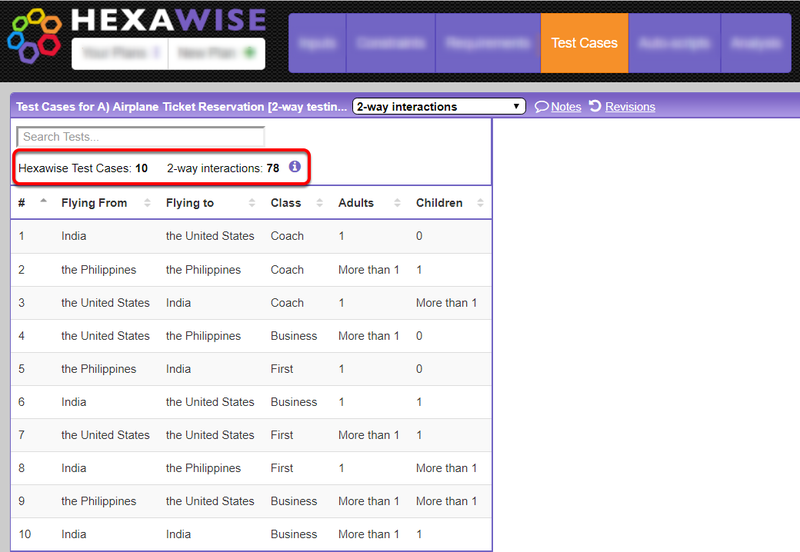 They are provided to help you understand different aspects of designing better tests with Hexawise. Sample plans with small numbers of Parameters tend to be highly-simplified instructional examples. Plans with higher numbers of Parameters tend to involve more complex Systems Under Test. Since the sample plans themselves are not editable, you can make a copy of the plan that you may edit. Experimenting by making changes to the plans is a good way to learn. Some of the sample plans contain useful explanations of Hexawise features and interesting aspects about the specific Sample Plan you've opened, such as the screenshot shown above. The "Test your understanding" section may help you learn important test design principles and develop better insight to test design strategies. 1) Copy the plans to enable editing. 3) Pay attention to what makes sets of Hexawise test sets different. Hexawise tests are especially powerful and efficient, but unless you know what to look for you might not appreciate how much better they are than "normal" tests. 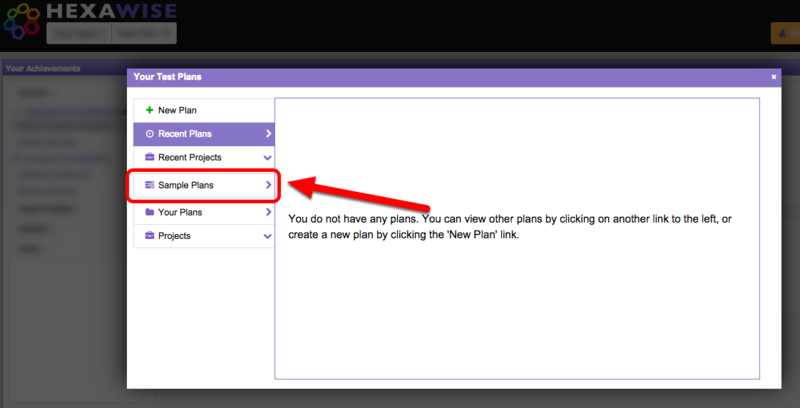 Sample Plans are "view only" by default, but copying a Sample Plan will allow you to edit and interact with the plan. You'll learn more, and faster that way. Clicking around a bit and making a few changes to a few sample plans is a great way to quickly learn about how Hexawise works! Hexawise is a different kind of tool with different features than other software testing tools that you might be familiar with, so don't panic if features in Hexawise don't look familiar at first. It's normal to be a little confused at first. We've designed a series of recommended achievements to help you increase your test design skills, understand Hexawise features, and - most importantly - become a more knowledgeable and powerful software tester. Hexawise will not only help you create tests much faster, it will also help you create much bettertests than test scenarios you would be able to select by hand. They will be more varied, less repetitive, and leave significantly fewer gaps in coverage. 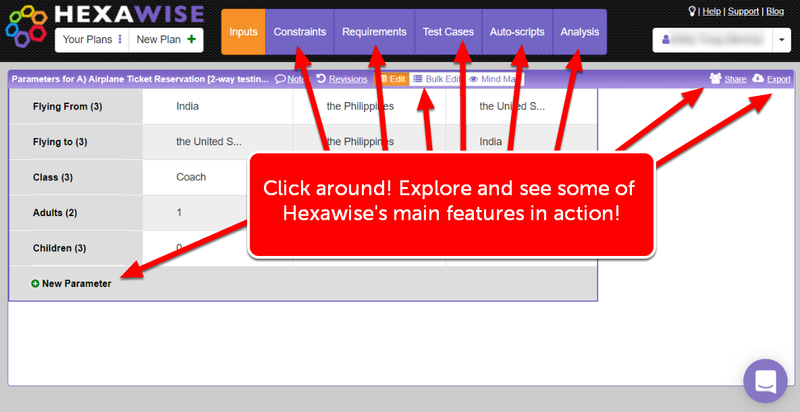 Count how many seconds it takes you to generate new sets of test scenarios with Hexawise once you have identified an appropriate set of test inputs. Faster test scenario selection is the most obvious benefit that Hexawise delivers to testers. Having said that, most experienced Hexawise users value other benefits more. For example, the benefit of much more thorough testing coverage that comes from Hexawise's optimized test sets. The 10 test scenarios above are very different from most manual sets of test scenarios. Most manually-selected sets of test scenarios, for example, would either have far more scenarios that test similar paths through the system (e.g., Coach Class with 1 Adult flying from the United States multiple times) or simply contain far more unspecified values (often due to testers selecting the same value in test after test). 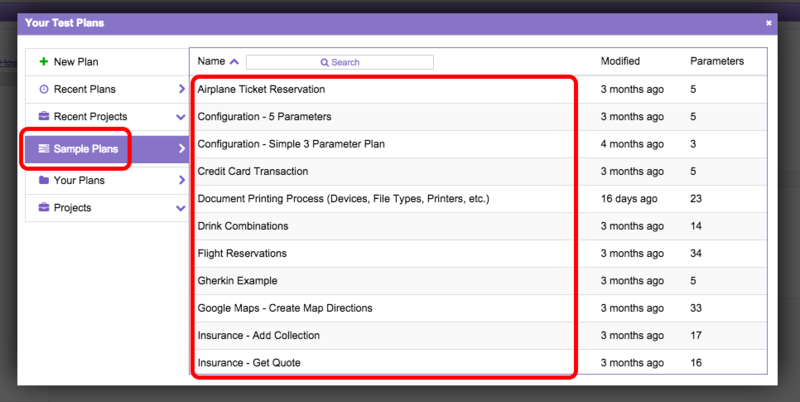 You can easily examine testing coverage achieved by your Hexawise-generated tests in your plans. Simply go to the "Analysis" screen and click on the "Coverage Matrix" option to see the coverage achieved by your optimized Hexawise tests. 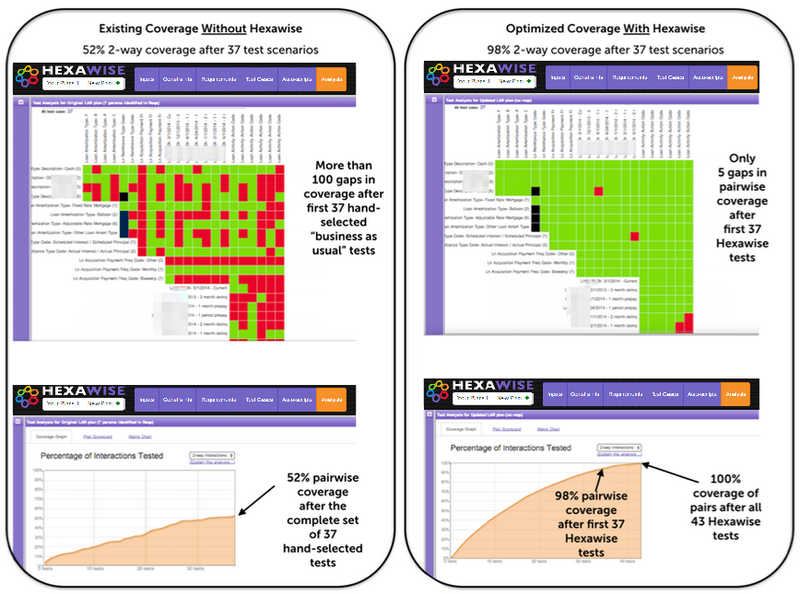 Detailed comparisons between coverage achieved by Hexawise's optimized tests sets and coverage achieved by your company's "business as usual" test selection methods is eye-opening! We often help our clients do this analysis with real sets of tests. Unfortunately, sample plans themselves cannot provide this level of "Hexawise vs. Business as Usual" insight to new Hexawise users. If you're a new Hexawise user exploring sample plans, it is enough for now to simply become familiar with the concept that Hexawise's optimized tests are especially powerful and efficient. And unlike manually-selected sets of test scenarios, Hexawise-generated tests will not accidentally leave gaps in coverage. As you progress through Hexawise's suggested achievements, you will learn more details about what exactly these coverage reports mean. Finally, be sure to check the "Notes" for some useful comments and links about the Sample Plans. This icon is present throughout your plan.